Dusky Blue Ladies Scarf. 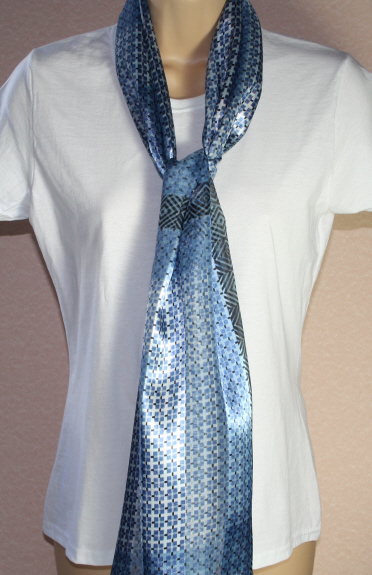 A dusky blue scarf with off white detailing. Long straight scarf.